The most tasteful experience – provided by our Restaurant Überfahrt not only for the palate. Your eyes are treated to an exquisite ambience, from walls covered with finest deer suede to comfortable armchairs and extraordinary black and white photographs. 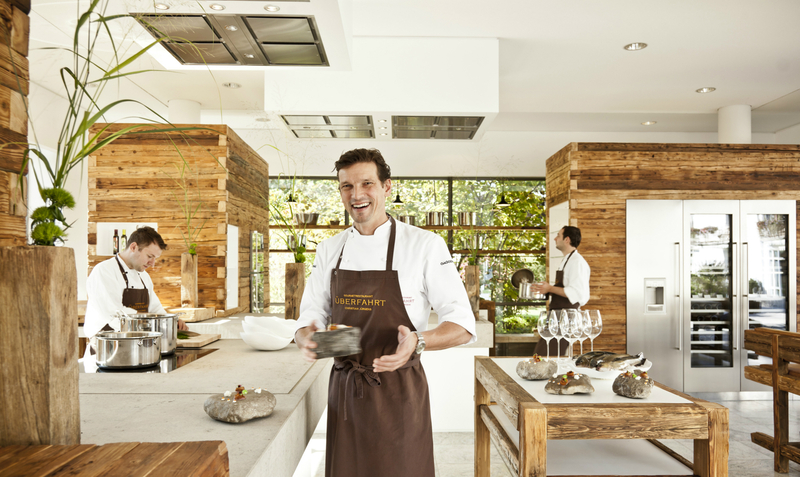 These show you the natural landscape of the Tegernsee Valley, which Christian Jürgens, Gault & Millau chef of the year 2013 and awarded 3 Michelin stars, will bring onto the table in the form of imaginative creations. With his 20-member team, he transforms the best products from the alpine region, but also from other parts of the world, into simply exceptional dishes. With seemingly effortless easiness, he bridges the gap between sophisticated and rustic cuisine, between international culinary trends and regional specialties. Experience cuisine that continuously receives the highest awards by relevant German gourmet guides.